Warning: include_once(/home/utbgoug/public_html/sites/all/modules/slick/slick_views/slick_views_plugin_style_slick.inc): failed to open stream: No such file or directory in _registry_check_code() (line 3478 of /home/utbgoug/public_html/includes/bootstrap.inc). Warning: include_once(): Failed opening '/home/utbgoug/public_html/sites/all/modules/slick/slick_views/slick_views_plugin_style_slick.inc' for inclusion (include_path='. :/opt/cpanel/ea-php56/root/usr/share/pear') in _registry_check_code() (line 3478 of /home/utbgoug/public_html/includes/bootstrap.inc). 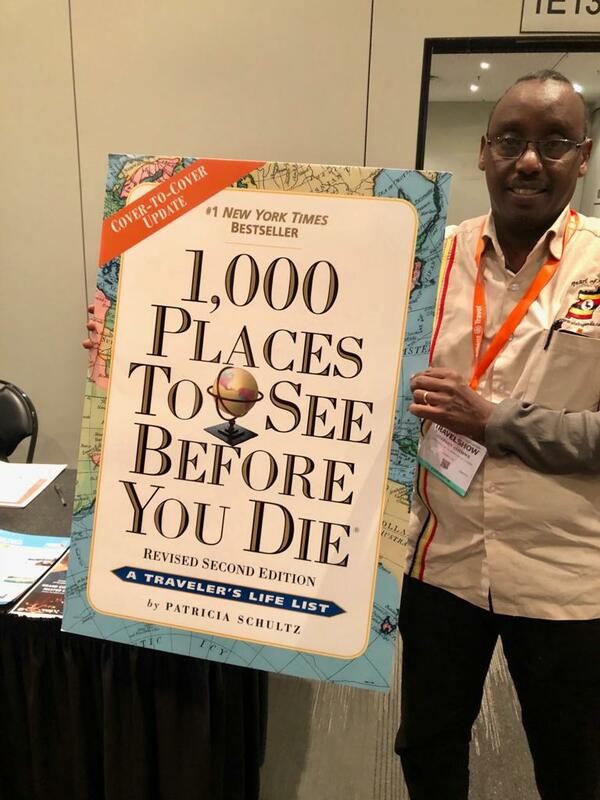 Uganda named in top list for 1,000 places to see before you die by acclaimed, respected, prolific and best seller travel writer Patricia Schultz at the New York Times Travel Show. Ugandan Coffee headlines at the New York Times Travel Show. Kampala, Uganda. Uganda has been named in the top list for 1,000 places to see before you die by acclaimed, respected, prolific and best seller travel writer Patricia Schultz at the just concluded New York Times Travel Show in New York, USA. Uganda was number 12 on the list, making it to the August calendar. The article highlighted Uganda as a primate destination; boasting of over 54% of the world’s remaining gorillas. The just concluded travel show saw Uganda represented by a delegation led by the Chief Executive Officer of the Uganda Tourism Board, Mr Asiimwe, Uganda’s Market Destination Representative in North America (PHG Group) and 8 Ugandan tour operators. The New York Times Travel Show; considered the biggest travel show in North America brings together over 550 exhibitors from over 170 destinations; making it an opportune event in which to market Uganda to the US.